An agenda is a chronological list of meeting events and topics, beginning with the call to order and ending with an adjournment. Agendas focus the direction of a meeting, including where and when the meeting will take place, and contain discussion items such as committee and departmental reports, old business and new business, and may contain proposed decisions for consideration and voting at the meeting. 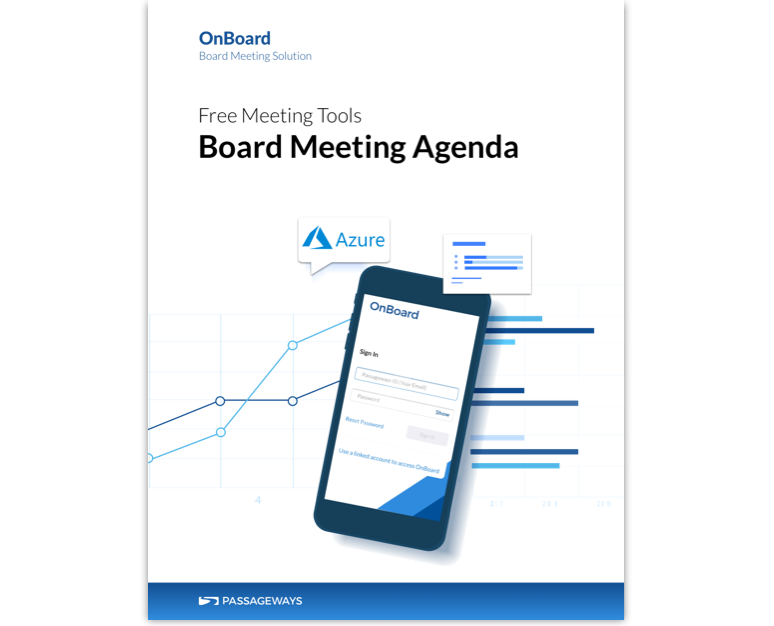 This .docx board meeting agenda template will help you easily create an agenda that’s focused on creating a purpose driven meeting.